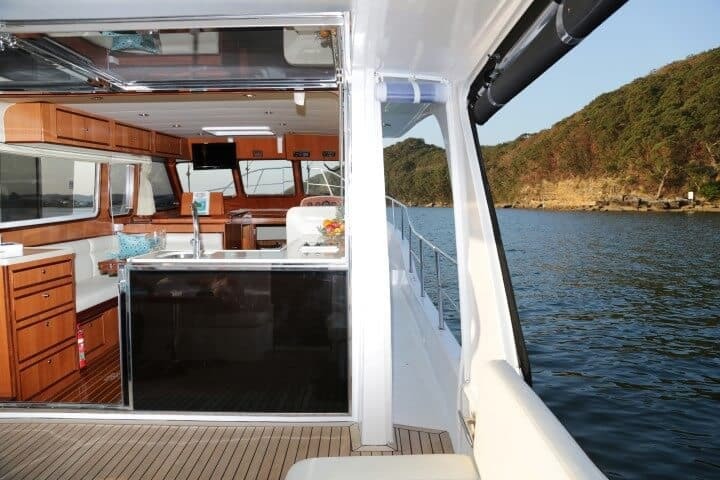 Revelation, an Integrity 380 sedan, is an impressive motor yacht offering the seakeeping ability of a sailing yacht combined with the ease of use and comfort of a displacement cruiser. 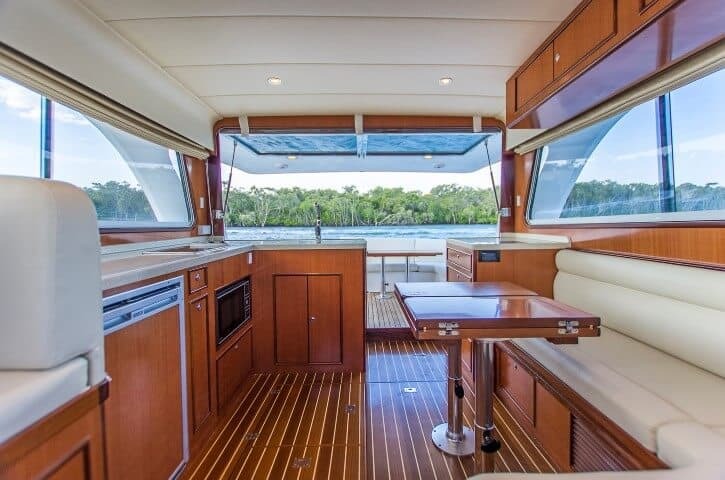 With remarkable fuel economy, ample accommodation and classic styling, the Integrity 380 Sedan is a popular yacht within the Yachtshare fleet. 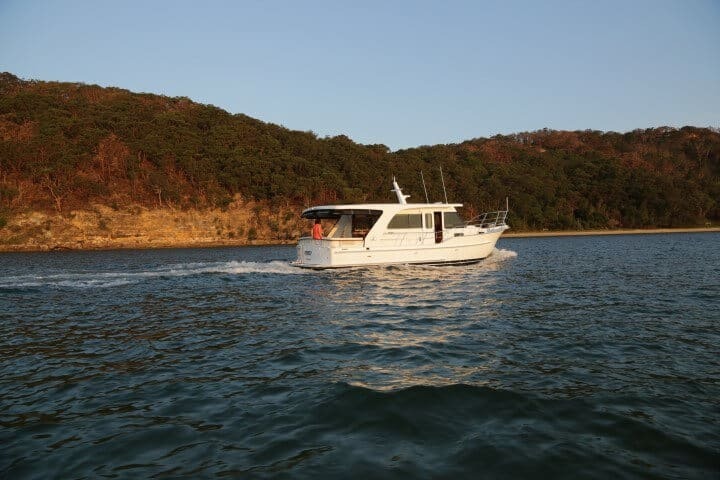 Featuring wide walk around decks, twin cabins and a massive saloon, the 380 Sedan ticks all the boxes for those wanting to entertain family and friends in style and comfort. 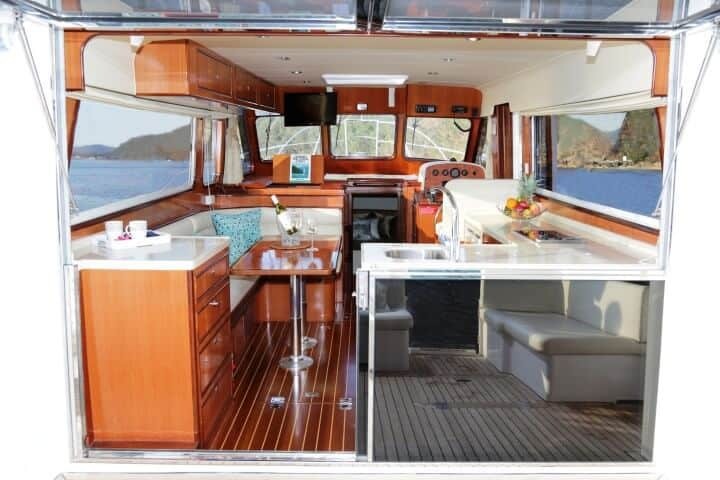 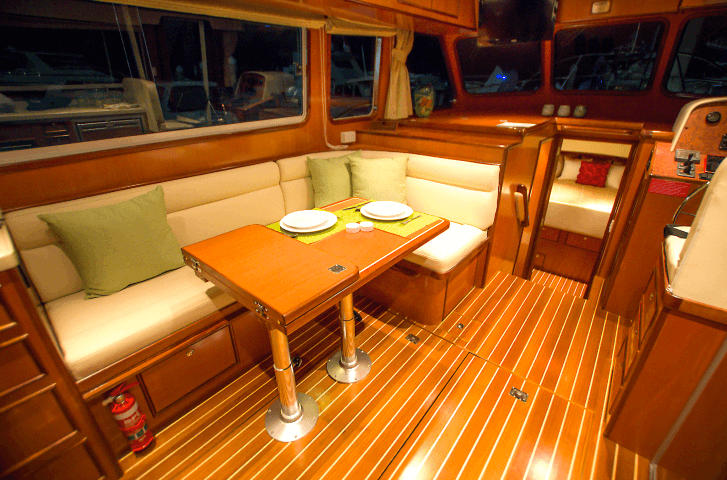 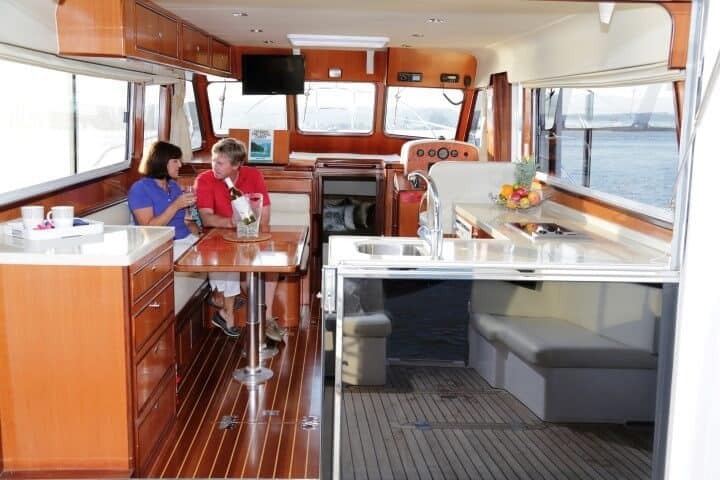 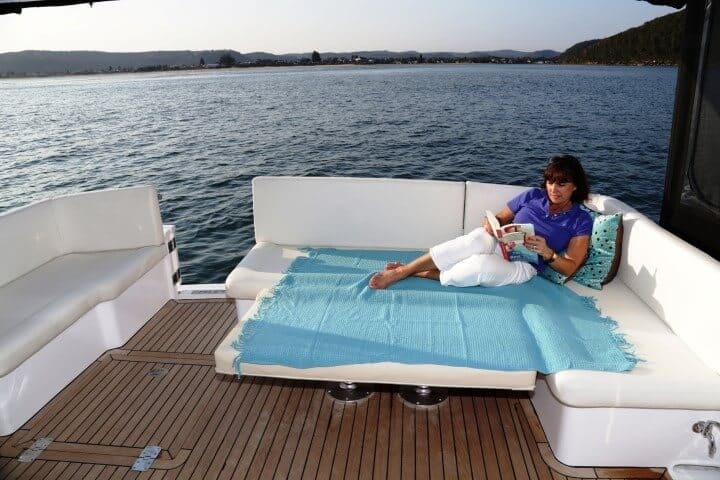 With convertible saloon and cockpit tables, the motor yacht can sleep eight and includes a well-appointed galley with full cooking facilities and twin refrigeration units. 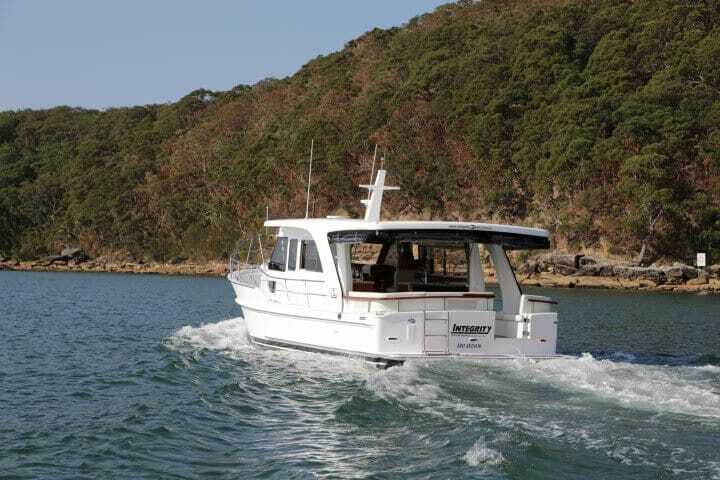 Powered by a dependable John Deere 225HP diesel engine, the Integrity 380 Sedan can cruise comfortably at 8 knots using just 10 litres per hour of diesel. 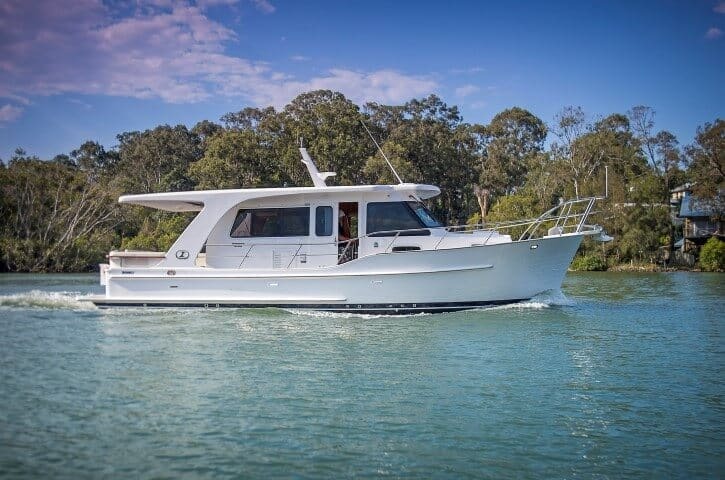 A massive 1140 litres of fuel offers incredible range making a coastal passage or a week of cruising the Broadwater an easy proposition. 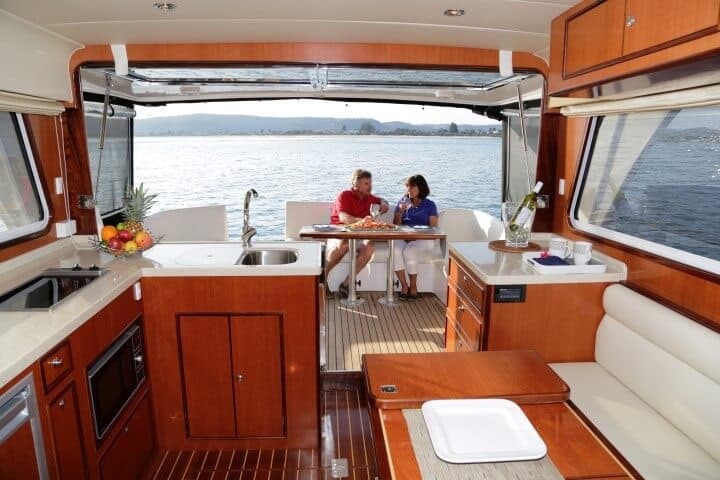 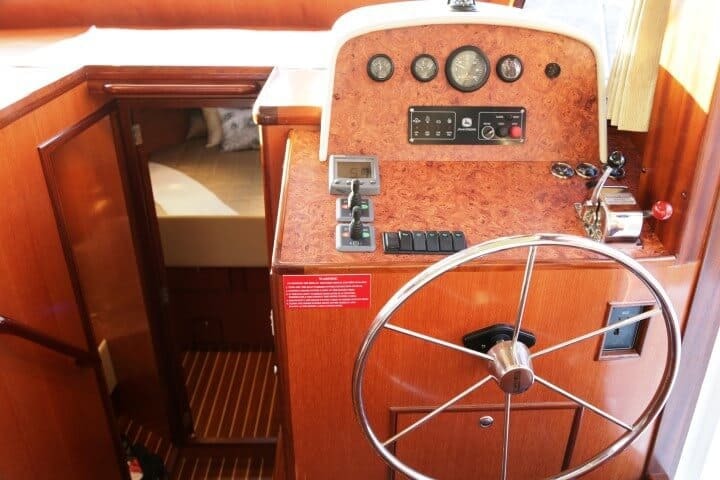 There are a host of features standard that would otherwise be add-ons on similar motor yachts. 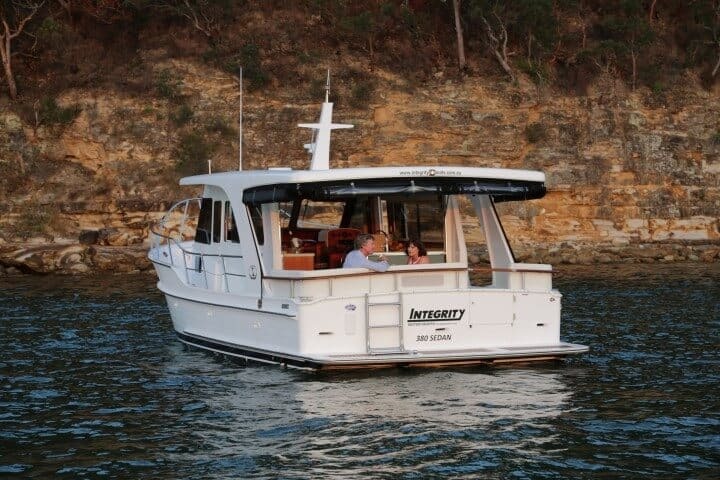 The Integrity 380 includes all the bells and whistles such as a reverse cycle air conditioner, 4KW Genset, bow and stern thrusters and a host of additional extras. 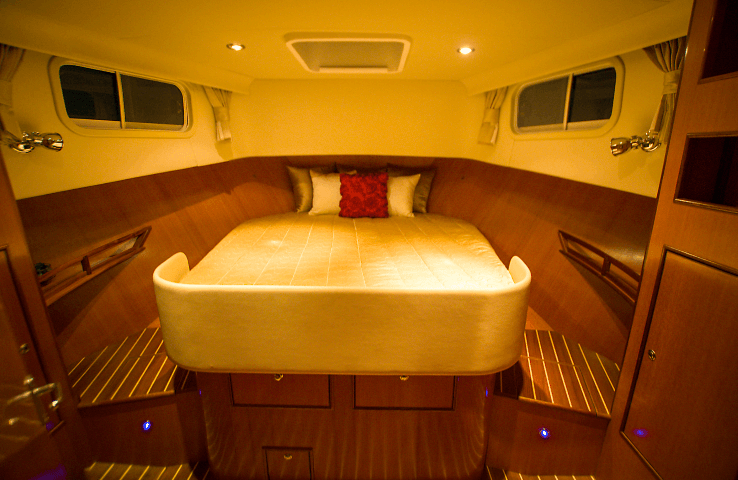 The specifications are impressive, to say the least. 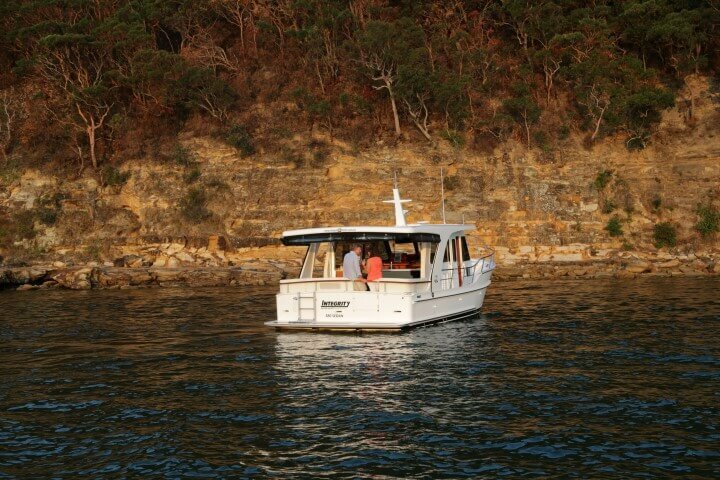 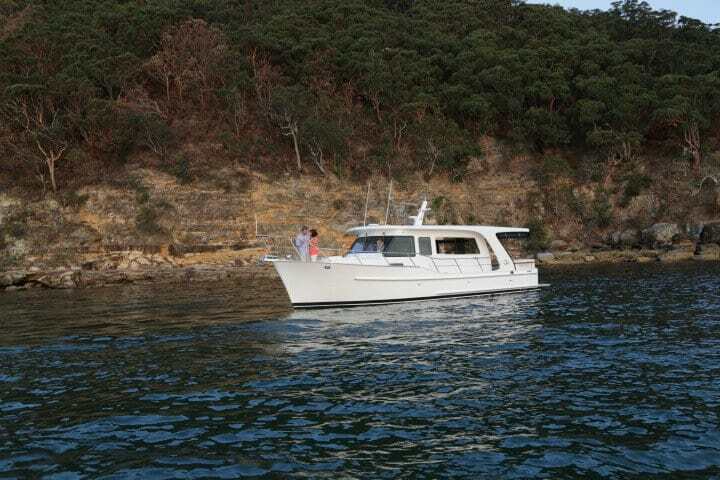 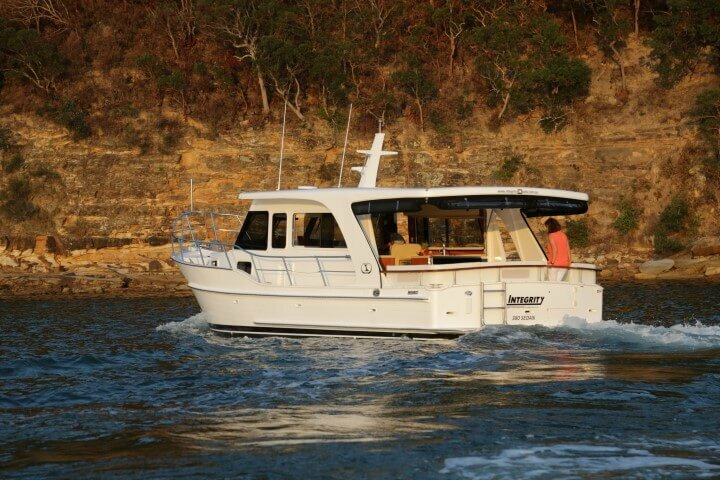 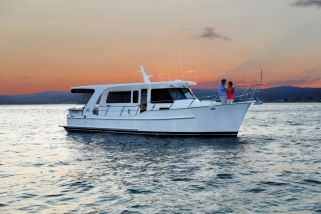 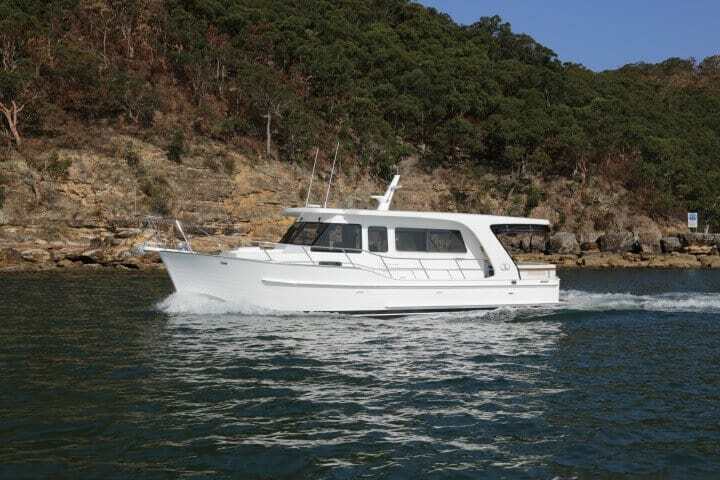 For a detailed review of the Integrity 380 Sedan, visit Alan Whiting’s article on tradeboats.com.au. 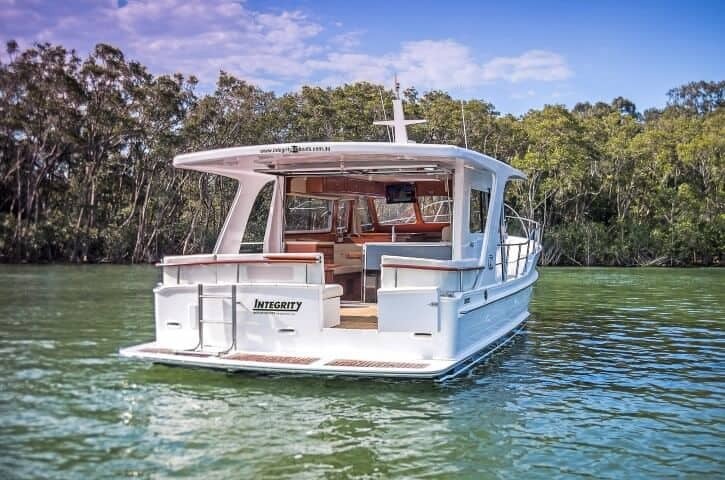 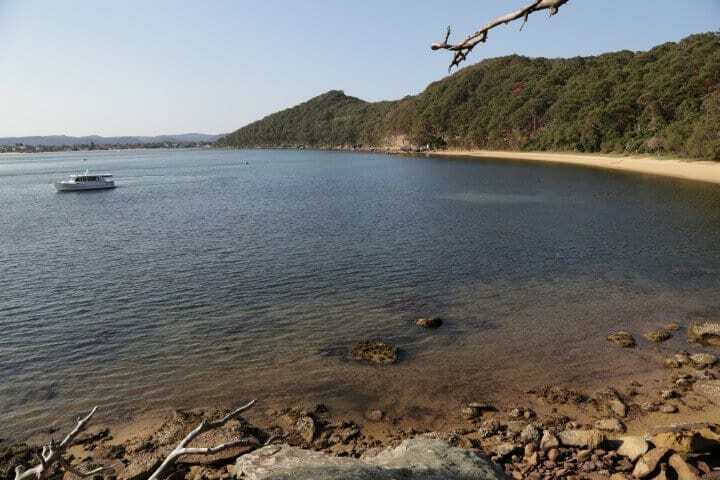 Combined with Yachtshare’s walk-on/walk-off service and comprehensive yacht management program, the 380 Sedan offers the ideal power boating platform for Moreton Bay, the Broadwater and beyond.